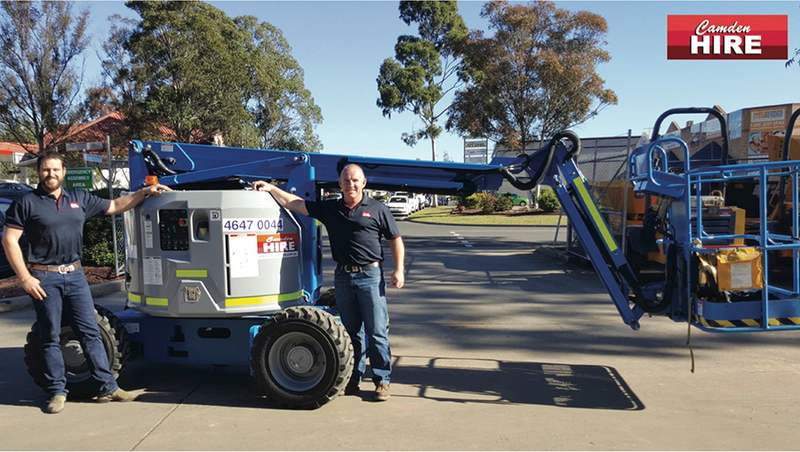 With excellent reliability, the Genie Z-34/22 boom lift is proving a star turn for Western Sydney-based Camden Hire, which leases earthmovers, trucks, lighting, party hire and compaction equipment in addition to its EWP fleet. Camden Hire, named the HRIA’s Rental Company of the Year Award (over $3 million) in 2006, own multiple Genie Z-34/22 boom lifts. “Our Genie Z-34/22 boom lifts are used in rural areas by tree loppers, and for urban projects by electricians, painters and window cleaners,” said Mulley. “The electric models can be used for internal electrical work by shed builders, in warehouses and by security contractors.” The Genie Z-34/22 boom lift is also ideal for confined work spaces at only 1.47 m (58 in) wide with zero tailswing. Camden Hire’s fleet of Genie Z-34/22 boom lifts is achieving high utilisation rates, which reinforces the boom’s strong return on investment. “The machines are working on projects as far south as Albion Park, as far north as Gosford, and west to Lithgow in the NSW Blue Mountains,” said Mulley.